Below is the second part of a summary article written by Therese Zumi. I strongly agree it is VERY important that every awakened person carry out his/her mission on Earth, together we can make The Event happen as soon as possible. New insights come as we move forward in our attempt to learn to love unconditionally. Some of these insights are hard to digest when we come to a realisation that we have been holding onto some negative way of being/thinking, but have been absolutely unaware of it due to it being a normal way of existing / surviving as children. I personally learned that the only way to survive was to keep quiet about all feelings, be helpful at all times and even more so when being unjustly blamed for things/incidents that occurred. This led to my thinking negatively about the person in question and never daring to express those feelings for risk of more punishment. The consequence of this is that when people seem to be expressing unusually strong emotional reactions to something my emotional body is recalling these earlier situations and the negative thought reactions like “this person is stupid, or this person is crazy, or this person is unpredictable, or this person needs therapy” and so on. I recall the name of a book with the title ‘you can’t afford the luxury of a negative thought’ and by golly is this a tall order to follow. However, this ‘tall order’, this ideal of being, is exactly where we are heading. Cobra was once asked how we should control our thoughts. I recall him saying that we should not control our thoughts, we have to allow them. However, when we become aware that we are sometimes thinking negatively about someone close to us while never expressing this openly we must realise that these thoughts are felt by the other person on some level and will infect the relationship until we change those thoughts by communicating in a better way with the person in question. Like Saint Germain said recently while discussing the Fulfilment of the Mothers Plan (which he points out is ‘no pie in the sky’ but very real), the time of Ascension, “we are transmuting, letting go of, healing, our burdens, wounds, belief systems, everything that has hurt us.” As we can feel rather unhappy with ourselves when we discover that we have been holding onto negative thoughts on some level we need acceptance and unconditional love for ourselves too. Saint Germain goes on to explain that when these old issues surface that these are things that have not been addressed or seen to. He says “there is no need for drama, there is no need for disassociation. We need ACCEPTANCE – because in acceptance we enter the flow”. He reminded us that at Christmas time we were advised by the Co. of Heaven to be in “willingness and forgiveness, however when we are in acceptance we bring forth our alignment with our divine will. Be in your sacred willingness and simply accept and allow this unfoldment”. 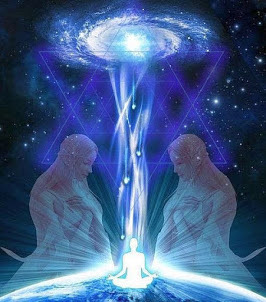 In the end we come to know and understand that every single soul we know is acting according to the earlier experiences and programming of one kind or another that they have encountered and of course this includes all of these souls’ earlier incarnations too. If you sincerely hear a calling to try to forgive everyone then this will benefit a quicker transition to a new calm, loving, peaceful existence on Nova Gaia. Like one reader commented after the above linked article “yes for me forgiveness is the key, for only those who have felt pain in anyway are capable of hurting another”. ……So imagine now this day! Imagine when this Veil of darkness and complete control is fully removed. Then there will be no hinder for the healing Light of pure Love Energy – Tachyon energy to reach every single being on this planet. Suddenly everyone will be experiencing to some degree what my colleague Nova experienced in the Tachyon chamber in Mercantile Creek! Now do you understand why soldiers all around the globe will simply lay down their weapons never to use them again. Suddenly a blanket of LOVE energy is all around us. The following words were written by our colleague Untwine in February 2016 as an introduction to the video ‘Reset Imminent’ “None of us are claiming that the Reset, Disclosure and Event will happen for sure in the next few days, weeks or months. It may or may not. The main purpose of this video is to have all the core information easily available in a concise way, to be shared at the moment of the Event to the unawakened population. By publishing it now, it can circulate and we can make sure everybody has it ready for when the time comes. This also allows for more people to be aware and ready before the time comes. Of course we are all sick of delays, including Light forces not on the surface of this planet who go and confront very dark things regularly. Yet, to put things into perspective, after many thousands of years of slavery on this planet, even the span of a few years of transition is still ‘imminent’. I think it should be very clear for everybody by now that we cannot predict the date for the Event. All we can do is make efforts to help any way we can day after day, to create a transition that will be as beautiful, fast and smooth as possible for a full liberation of all creation, because there is simply no other viable choice. This video ‘Reset Imminent’ is available in most languages on the opening page of Prepare for Change. When you open the page and would like to find a translation of this video in your language just roll down to the bottom of the article, choose your language in the list and press ‘GO’. You will also discover that many other articles like the key ‘Main Cobra Articles’ are available in your language on the right hand side of the page. On this very same first page on PFC you will find the direct link to the Community Leaders Brief available in up to 32 languages by just clicking on the link with this picture. Indeed, there is more than ample information available on PFC about every aspect needed in your being prepared knowledge wise for The Event. Aaron – Ok, this about The Event. Is the Schumann resonance a useful indicator of our progress and readiness for The Event? Lynn – Is there an increase or decrease in the Schumann resonance within the last 100 years? COBRA – The basic Schumann resonance stays the same but there, I would say quite drastic oscillations happening lately. Lynn – Is the fluctuation a positive thing or a negative thing? Lynn – Can you talk about the waves of energy we have received in the middle of December or since the middle of December? This Event is in NO WAY just a time of arrests of the cabal, closing down of the corrupt financial system, the beginning of the disclosure process etc. 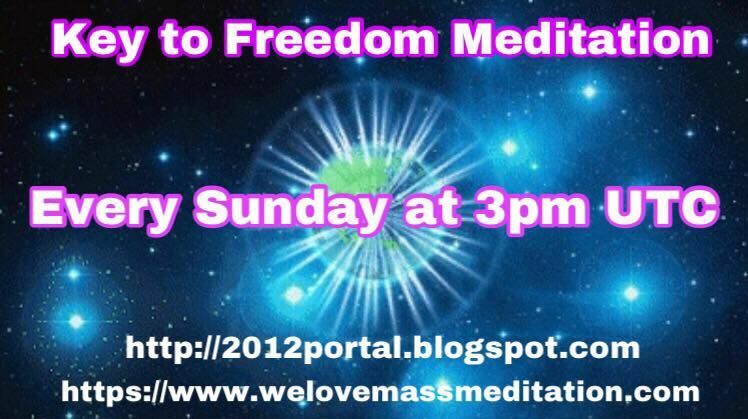 and a bit later the landing of our Galactic Families, it is the beginning of the true time of Ascension on Gaia. As you will read in the article there will be several strong waves coming at intervals to support our spiritual development – raising our heart consciousness level and supporting our co-creation of a truly magnificent Garden of Eden here. That brings to mind another question posed to Cobra on last month’s interview that many people have wondered about………. the same event mentioned in the Bible as the rapture? Can you tell me a little about this Cobra? 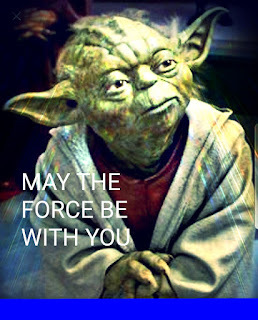 This update called The Great Forgetting of 1996 also gave us clearly defined recommendations that were necessary if we wanted a smooth transition to our New Atlantis – Nova Gaia as soon as possible – he said “The Light forces have communicated to me that an alliance / coalition of Lightworkers / Lightwarriors, working towards the common goal of planetary liberation, and refraining from constant infighting, would need to be formed on the surface of the planet. Such alliance is crucial for the successful compression breakthrough. Dragon forces have communicated that such coalition would serve as a conduit for the energies that will be released at the moment of compression breakthrough to ease the transition. I would like to believe that we have in fact succeeded in overcoming our differences and that we have become aware of each person’s or groups unique contributions as being necessary to the whole. We can absolutely reach the goal of a smooth transition at the moment of Compression Breakthrough if we remain impartial in handling our affairs. With proper behavior we know without a shadow of a doubt that we will be supported by the entire Co. of Heaven etc. in our efforts. If there are people involved in any situation whether it be prior to the Event, during the Event or after the Event that hold onto selfish interests or have separate / divergent goals this will be very sad and unfortunate. Because this way of thinking will create mistrust and will grind events to a halt. Archangel Michael has given us regular advice regarding cooperation and leadership now and after the transition and links to some articles with that advice can be found at the bottom of this update. As I sit here at my computer writing this article on April 21st 2017 there is a storm brewing outside, the winds are increasing as the hours pass and tomorrow they say that there may be gale warnings issued. Each time I encounter strong windy weather it reminds me of the storm of disclosure that is on the way. I call the winds ‘the winds of change’ because it is very clear to Lightworkers now that nothing can prevent this change taking place. For nearly a year now many cabal members have been negotiating agreements behind the scenes hoping to survive the planetary liberation intact. There is simply no way anyone following mainstream media and believing that they are getting ‘news’ can fathom more than 2-3% of what is really going on at this time. With each day that passes we are more guaranteed a smooth time of transition. Do you recall these lines from Part One and the update after that EPIC meditation? Here we learn 10 months later on March 1st 2017 that this has now occurred! Sometime back in 2011-12 David Wilcock informed us about his dream of the storm of disclosure when he saw many lightning bolts which he interpreted as a time of a release of the truth in the mainstream media. 4 years ago Cobra mentioned this in an update entitled the Event Horizon where he says “That will be the moment of the compression breakthrough and this is what David Wilcock saw in his dream of a storm with many lightning bolts. Each of those lightning bolts represents a compression wormhole, which is a hyperdimensional doorway of Light, connecting the surface of the planet with the Light above and below the surface at the moment of the compression breakthrough. Understanding the Effect of SYNTROPHY Helps Us to Understand How Things Will Only get Better with Each Passing Day. TZ here; Working together is what it’s all about. We work synergistically together best when we each with our unique gifts follow our inner convictions in the NOW to do what we know to be right. We are strongly on our way towards Victory of the Light. This energy is palpable now and visible all around us. The humongous work of restoring the Light Grid Network on Gaia is almost completely finished and it becomes stronger by the hour. Angelic Beings are positioned where each Cintamani stone has been place. We have never ever been so close to Compression Breakthrough as we are now and the dark ones are in panic mode and as we just learned from Cobra they are attacking key Lightworkers. They are doing all that they can to frighten newly awakening readers by spreading vicious lies about Cobra and even the Prepare for Change website. All of us here at PFC have been working idealistically for years to do this work to help support a calm transition. None of this work would have been possible without Cobra’s tireless dedicated work. Yes, imagine if he was just making all of this up and we were all following him blindly? All I can say to you who have doubts is that in each of his RM updates the information has later been proven to be correct and corroborated by events taking place later. I have witnessed this time and time again myself. Yes, we are all tired and yes it has taken way too long and we have been tested too many times BUT my feeling is that we will be so grateful when the Day finally arrives that the groundwork was so well laid allowing a much safer and calmer transition into Nova Gaia. COBRA – I would say that we are living in a very key time in human history right now and we just need to keep pushing, keep manifesting the Victory of the Light for the planet. I asked my Guides to give me some final advice on how to end this recap of the various aspects involved in understanding The Event. This is what I was advised to say. 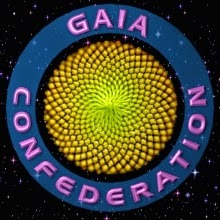 Lightworkers all over Gaia are asked now to operate in good conduct while performing their missions and in this way to elevate the social order. The time points to a carful and natural unfolding of events and even though we have all had enough by now we need to accept that because of or despite the various setbacks and delays a deliberate and slow cultivation of the situation is the path to success and good fortune for the many. We are quite simply so much more ready in every sense of the word because of the time it has taken. Calmness and adaptability along with good natured persistence will see us through. We need to remember also that everyone involved in wars at this time including those on the dark side are in their own way praying for peace. Everyone is tired of these never ending battles. Mother – Maat desires peace too and it is on its way to us at full speed – the signal will go out from Source – that huge Galactic Wave of Love will soon reach our shores and wash away all of the remnants of the veil and our liberation will be a fact. PS: A reminder that Cobra said in the last PFC interview that we CAN have The Event in 2017 if everyone does their mission!